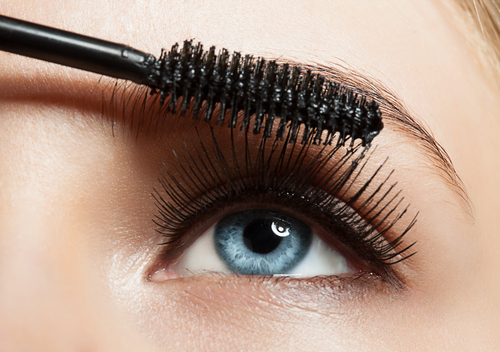 Mascara Magic: These Hacks Will Change Your Lashes FOREVER! 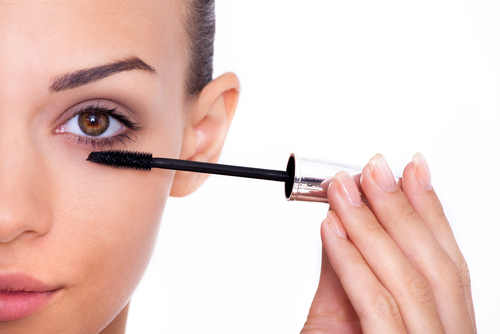 Even the most makeup shy ladies can attest to this – Mascara is a must! Long flirty lashes aren’t always the easiest thing to achieve; it takes a bit of time, skill and a few nifty mascara hacks to get just right. While there is always the option to apply falsies, it’s not always cost effective or easy unless you are seasoned. So, the next time you put some mascara on, we urge you to try these hacks, they will change your life! How many women here have left their poor eye lash curler at the very back of the drawer, never to see sunlight ever again? Well get them out, there is a reason why these funny contractions exist, it’s because they really do make a difference. Before you use them, get yourself a glass of warm water and place the curler in it. 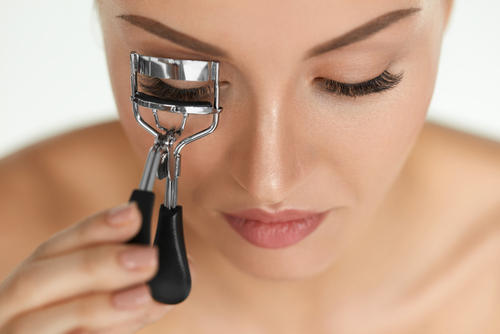 The warm curler helps to really lengthen and curl your lashes before applying the mascara. You could also heat your curler using a blow dryer, but make sure it isn’t too hot, test it on the back of your wrist before using. Yep, you heard that right, the correct method to perfect lashes is to actually start with the bottom lashes and then the top. You know those annoying little dots you get on your eyelids, well that comes from applying it wrong. If you apply the top first and they aren’t dry, when you tilt your face up to do the bottom, the top lashes touch your lid causing those little dots. Simply switching the order of application will rectify the situation! To get a more even application and really fan out your lashes, you got to wiggle! Use the wand and apply the product while doing a little zig-zag motion on the lash. Moving the product side to side really helps spread the product, avoid clumps and give your lashes more volume, especially closer to the roots. The best looking lashes don’t come with just one product. There is a range of products out there, from volumizing to lengthening; we suggest using a few products together. It really depends on your lash type and the desired look you’re going for. If you have fine lashes for example, then you should start with a thickening mascara, and then move to a lengthening one. Figure out what works for you by mixing up the wands and the product – have fun! Whether you’ve got your lashes looking too clumpy or have a case of those pesky little smudges, don’t try to rub or pluck if off. Instead, dab a clean cotton swab (q-tip) in an eye makeup remover solution and gently swipe it off. This is a great technique for when you suddenly find a clump at the edge of your lashes. Another great tip is to use a dry clean toothbrush to brush away dried clumps. Ideally, every 3 months you should be discarding your old mascaras and getting new ones. However, if you’ve found that one mascara where the wand has really worked for you, then get rid of the tub and keep the wand. A lot of brands reshape the wands or just simply change them, so if you can’t find it then why not save it. After a good hot water and baby shampoo wash, you can reuse the wand with the new product. 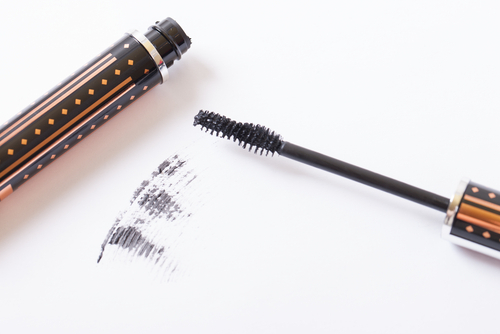 If you haven’t used and seen the magic of a 90-degree angle mascara wand yet, you are truly missing out. Don’t throw those old wands away, instead bend them perpendicularly and use them on your lashes, it’s much easier to use and you really get a good lift and push with the bend. 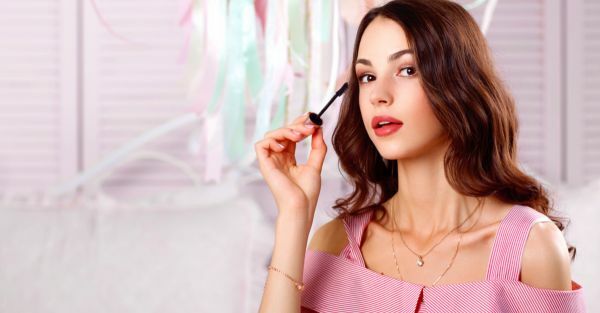 Apply the product onto the bent wand using a smaller lip or eye liner brush to get it from the tube or you can get mascaras with an already curved wand. We don’t know about you, but we find that the waterproof mascaras don’t treat your lashes with the kindness that you expect. Yet the idea of black streaks across the face isn’t flattering either. The best way to go around this is to apply your regular go-to mascara first and get the look you want. After that, just finish with a light coat of waterproof mascara to seal in the look.